Is one of the most popular boat shows in the UK. Visitors can see on one of the largest marinas in the UK, hundreds of boats and watercraft – new, old and bargains. They also have the opportunity to go on board and to experience the boats first hand. There is also a number of water sports products on display. The exhibition is rounded off by a program with many interesting activities. 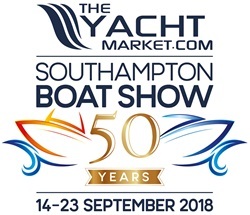 The Southampton Boat Show will take place on 10 days from Friday, 14. September to Sunday, 23. September 2018 in Southampton.